Our focus is in helping small businesses market themselves via the new medium called Apps. We develop Apple (iPhone, iPad, iTouch, Apple Watch, AppleTV) and Android business driven applications to help you grow via this new medium. Attract new customers, keep old ones, and add another advertising tool to your arsenal. If you have other ideas in regards to mobile application, we do custom apps as well. Anyone seeking a licence as a private investigator has been subject to mandatory training and testing requirements under the Private Security and Investigative Services Act, 2005 as of April 15, 2010. 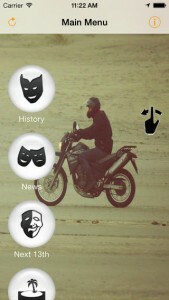 I have created an app (guide) which is comprehensive and will help you pass the mandatory ministry grade of 77%. The app has a quiz with 67 questions, and helpful links. 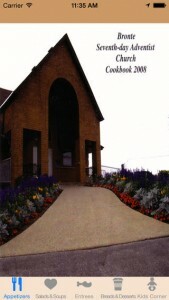 Easy cramming session, don’t spend hours and more $$$ on other guides, this is the one you want. ***NOTE: This is for Ontario Private Investigations EXAM only. This application was created independently and has NO association with Ontario Ministry of Community Safety and Correctional Service or with Serco. Follow the Croatian football / soccer team in 2014 as they become champions of the world 2014 in Brazil. With this application you will receive push notifications with critical team news updates, push live scores, and much more. We are not associated with the Croatian Football Federation / Hrvatski Nogometni Savez. 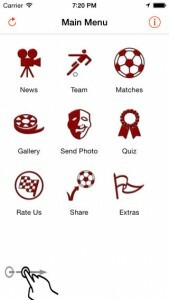 This app is dedicated for all the fans out there who cheer for the Croatian Football / Soccer team. f you are planning to become a Canadian citizen you are required to pass mandatory Canadian Citizenship test. The application is entirely up to date as of January, 2014. 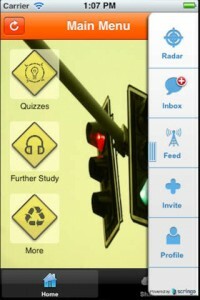 We have developed the app to help assist you to gain knowledge of what might be asked on the actual test. Our application is broken down by individual provinces/territories. If you are taking the test in the province of Manitoba, you would select Manitoba as the province of your choice. There is approximately 143 questions per province/territory. – Provinces/Territories included are: Alberta, British Columbia, Manitoba, New Brunswick, Newfoundland and Labrador, Northwest Territories, Nova Scotia, Nunavut, Ontario, Prince Edward Island, Quebec, Saskatchewan, Yukon. *** Primary Technologies does not guarantee that taking these quizzes along will ensure you to pass the first time. 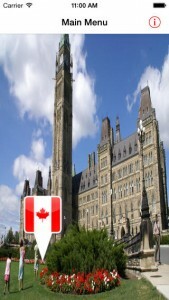 It is sole responsibility of the user to study using the materials provided by the Canadian government. We are not affiliated with the government of Canada or any other Canadian local/federal government. 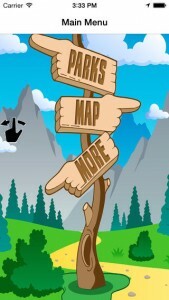 – BONUS: Social addition where the user can ask other campers questions in regards to particular parks. You can vote on photos, comment on photos and much more. Aaron, Algonquin, Arrowhead, Awenda, Balsam Lake, Bass Lake, Batchawana, Biscotasi Lake, Blue Lake, Bon Echo, Bonnechere, Bronte Creek, Caliper Lake, Charleston Lake, Chutes, Craigleith, Darlington, Driftwood, Earl Rowe, Emily, Esker Lakes, Fairbank Ferris, Finlayson Point, Fitzroy, French River, Frontenac, Fushimi Lake, Greenwater, Grundy Lake, Halfway Lake, Inverhuron, Ivanhoe Lake, John E. Pearce, Kakabeka Falls, Kap-Kig-Iwan, Kawartha Highlands, Kettle Lakes, Killarney, Killbear, Lady Evelyn-Smoothwater, Lake on the Mountain, Lake St. Peter, Lake Superior, Long Point, MacGregor Point, MacLeod Makobe-Grays River, Mara, Mark S. Burnham, Marten River, Massasauga The, McRae Point, Mikisew, Missinaibi, Mississagi, Murphys Point, Nagagamisis, Neys, North Beach, Oastler Lake, Obabika River, Obatanga, Ojibway, Ouimet Canyon, Pakwash, Pancake Bay, Petroglyphs, Pinery, The, Point Farms, Port Bruce, Port Burwell, Potholes, Presqu’ile, Quetico, Rainbow Falls, Rene Brunelle, Restoule, Rideau River, Rock Point, Rondeau, Rushing River, Samuel de Champlain, Sandbanks, Sandbar Lake, Sauble Falls, Selkirk, Sharbot Lake, Shoals, The Sibbald Point, Silent Lake, Silver Lake, Sioux Narrows, Six Mile Lake, Sleeping Giant, Solace, Spanish River/Biscotasi, Lake Springwater, Sturgeon Bay, Sturgeon River, Tidewater, Turkey Point, Voyageur, Wabakimi, Wakami Lake, Wasaga Beach, Wheatley, White Lake, Windy Lake, Woodland Caribou. **** Please note that we are not affiliated with Ontario Provincial Parks or any associated government body of Ontario. Largest independent gathering in Canada. Over 200,000 people get together each Friday the 13th to celebrate with friends. – Connect with others using interactive chat room or direct private messaging. Are you ready for the next Friday the 13th? *** We are not associated with the event, we are fans of the event and want to share our love for the event. Follow Animals is a memory game. You have to remember and follow the order shown by the simulator. When its your turn, you have to repeat all the movements in the correct order to be awarded points. Are you ready to test your brain? This game will keep you in top gear at all times. Memory games are known to stimulate your attention, ,memory, visual-spatial and executive function skills. Incorporate brain fitness and download the memory game today. This game is for all ages, young and old. Ashtanga Yoga Primary Series in pictures. Ashtanga Yoga is a dynamic form of yoga that follows a sequence of poses that should be committed to memory. Ashtanga can be practiced by beginner students to advanced students alike. This App can be used as a quick reference guide for those who are new to the practice and an excellent accompaniment for Mysore style practice where poses are added by your teacher as you progress. With Level 2 Authorized teacher Elise Greenspoon demonstrating the poses, this “Electronic Cheat Sheet” will help you: memorize the poses, learn the Sanskrit names of the poses, the transitions from pose to pose and learn where the dristi (or gaze) should be. You will be able to follow along the sequence of wonderful Asanas (poses) that are taught in the Primary Series. You will be able to practice where and when you want with quick and easy reference at your fingertips. Full Quiz – the whole deal! Signs Quiz – All the road signs, traffic lights, and road markings you will encounter when you learn to drive. Quiz One – You will find questions on merging on to a freeway, and yield lanes. There are some road signs, 4 way stops, vision blocks and lots more! Quiz Two – You will be quizzed on freeway entrances, driving at night, following distances, passing other vehicles, road signs and more! Quiz Three – This quiz will help you learn about blind spots, intersections, entering traffic, cyclists, the Ontario New Driver demerit system, lane changes, and more. Quiz Four – You will be tested on regulatory signs, driving behind large vehicles, handling skids, approaching yellow traffic lights, and many other situations. Quiz Five – This quiz will focus on entering and exiting a freeway, making a left turns at intersections, ABS braking, checking blindspots, hydroplaning and more! Ability to review question and answers without taking the quizzes above. You have the ability to challenge others who are using the application by becoming the ultimate G1 champ via Game Center. You have the ability to share your knowledge, or ask for possible hints using our interactive built-in social engine. 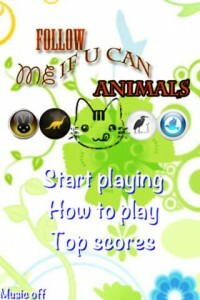 – All of the quizzes have a universal built-in game centre mode. FITTODRIVE Inc does not guarantee that taking these quizzes alone will ensure you pass the first time. It is the sole responsibility of the user to thoroughly read the Official Drivers Handbook in addition. Have an idea, and want your app to be published. Lets get started today!